The job involves developing innovative solutions for existing painpoints in a wide range of enterprises. The core of the job profile is Innovative Digital Intervention. 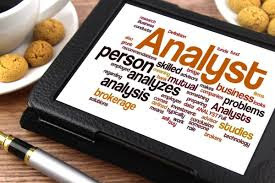 The candidate should be able to analyse the existing business problem in any domain through the set of available data and try to identify the insights and patterns. And based on the insights, the relevant solutions will be developed to solve the problem or increase the efficiency of the business process. The job offers a rich experience and exposure to various domains. The ideal candidate will have 1-2 years experience working in a fast paced consulting environment with emphasis on data and decision sciences. Successful candidates will exhibit business oriented thinking augmented by experience in data analysis, statistical modeling, automation tools (RPA), Machine Learning etc. Good Oral and Written Communication is a must. Ideal candidates should have MBA degree. Candidates with U.G in Statistics will be preferred. Remuneration : At par with the industry.